Have you noticed your battery light blinking on your 2008 Polaris RZR? This alarm is telling you that the battery voltage on your RZR is too low. You would think that with a 500W stator that the RZR would have no problem keeping everything running. But even with no accessories and just the factory headlights and cooling fan on, many owners have encountered low voltage issues with their 2008 RZR. One main reason that causes this problem is your voltage regulator. The voltage regulator is designed to automatically maintain a constant voltage level. In doing that work, the regulator will generate heat. Your voltage regulator needs to stay cool to properly charge your battery. 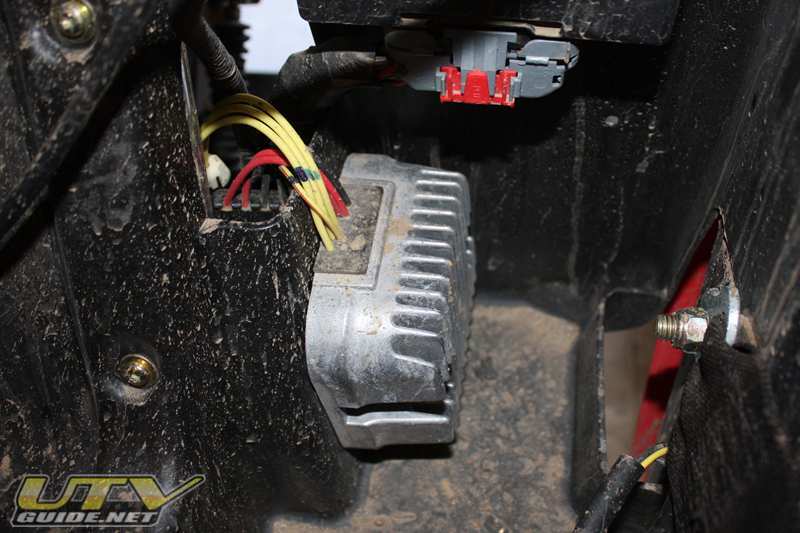 2008 RZRs have a problem with keeping the voltage regulator cool because it is located under the driver’s seat. Once the regulator stops working, any power generated from the stator will not reach your electrical system and the battery voltage will drop. Then the battery light on your dash will start blinking and it is just a matter of time before you are stranded. Polaris solved this problem on the 2009 RZRs by moving the voltage regulator up in front of the radiator. Now you can do the same thing on your 2008 RZR without cutting any wires! 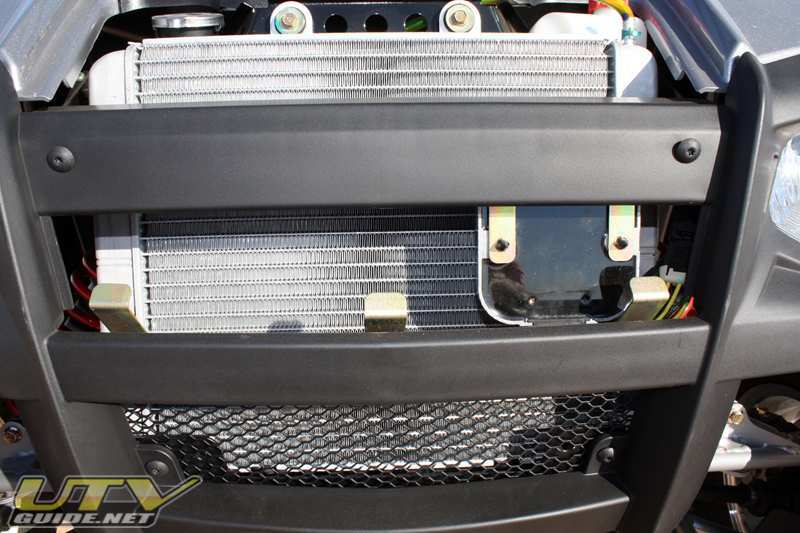 Our wire extension allows you to move your voltage regulator from under the seat (no air flow = overheating) to in front of the radiator just like Polaris did on the 2009 models. 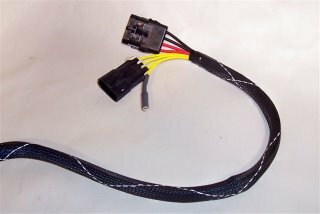 This is a 10 1/2 foot long extension, using the correct Packard/Delphi connectors and terminals and assembled with correct Packard tooling. The harnesses will be made using high quality Cross Link Polymer wire and covered in high temp, flexible woven loom. This harness allows you to disconnect the voltage regulator on your 2008 Polaris RZR (under driver’s seat) and relocate in front of the radiator like you find on 2009 RZRs. Please note that you will need a bracket to mount the regulator up in front of the radiator as shown in the 2009 RZR photo above. You can order a bracket from your Polaris dealer – Part # – PL5252587.